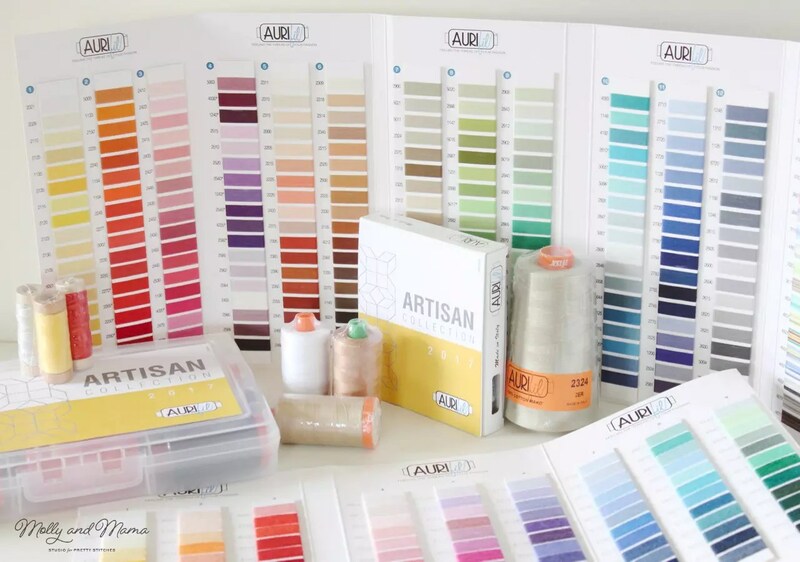 Back in May, Aurifil announced their Artisan program and I’m thrilled to let you know that I was selected! So what’s it all about? 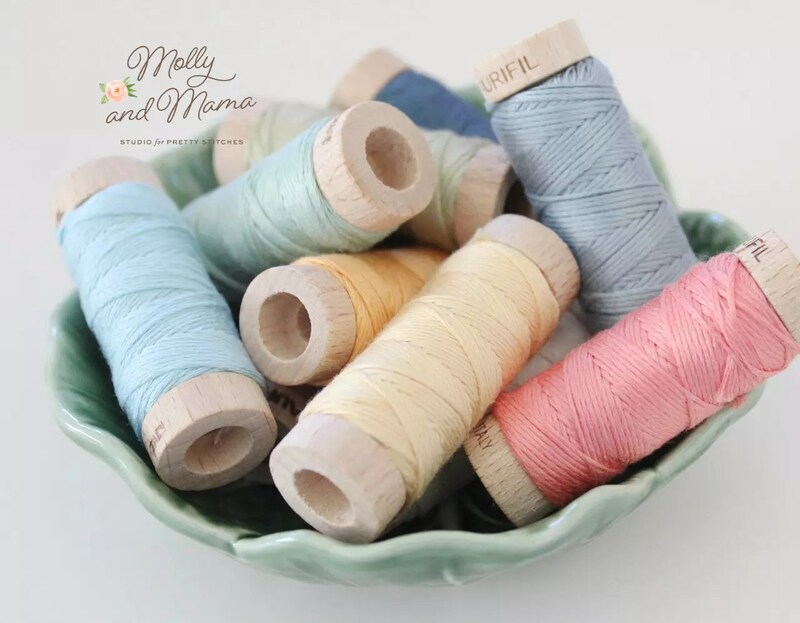 Aurifil selected a group of quilters, makers and sewists who love to use their wonderful range of threads. They’ll be showcasing the Artisans’ work and we’ll be sharing our love for their product. So it’s a win / win! That’s me in the second row; first on the left. You can learn who the other artisans are and read more here. Aurifil is an Italian family-based company that design superior cotton threads in a large range of weights and a huge range of colours! As Artisans we were lucky enough to receive this specially selected starter pack of threads, and also some great colour cards. I’ve been trying out a few new threads and flosses and can’t wait to share more about them with you. But I have to confess that my favourite Aurifil product is the six stranded embroidery floss; Aurifloss. It comes on a handy (and super adorable) wooden spool. I just cut off the length I need, separate the strands and get stitching. Easy peasy to use and store too! 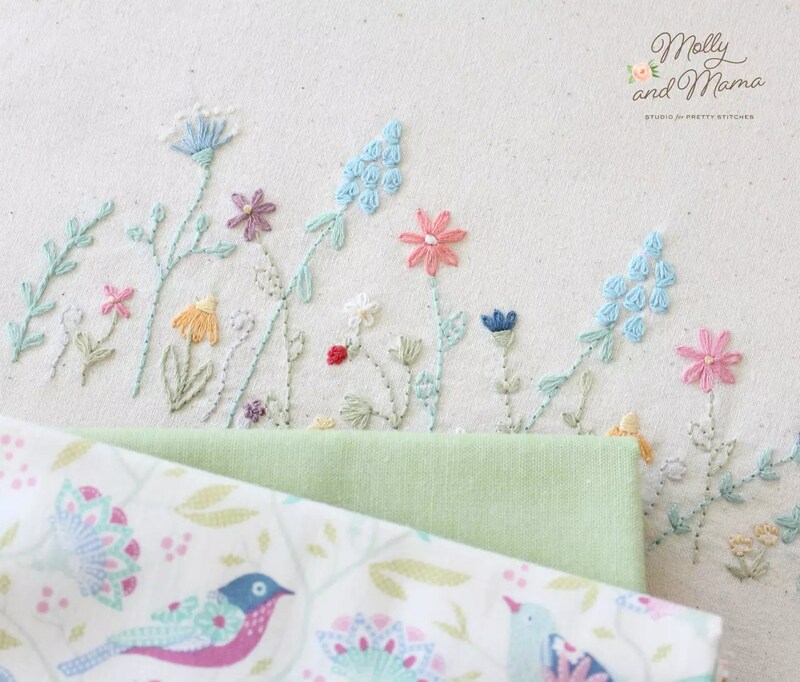 It’s great for embroidery. Here’s a design I am currently working on for a new pattern. It’s stitched exclusively in Aurifil Floss. The Aurifloss is also great for felt sewing too. Fifi Fox seems to think so! I’m looking forward to trying more products and sharing my experiences with you all. 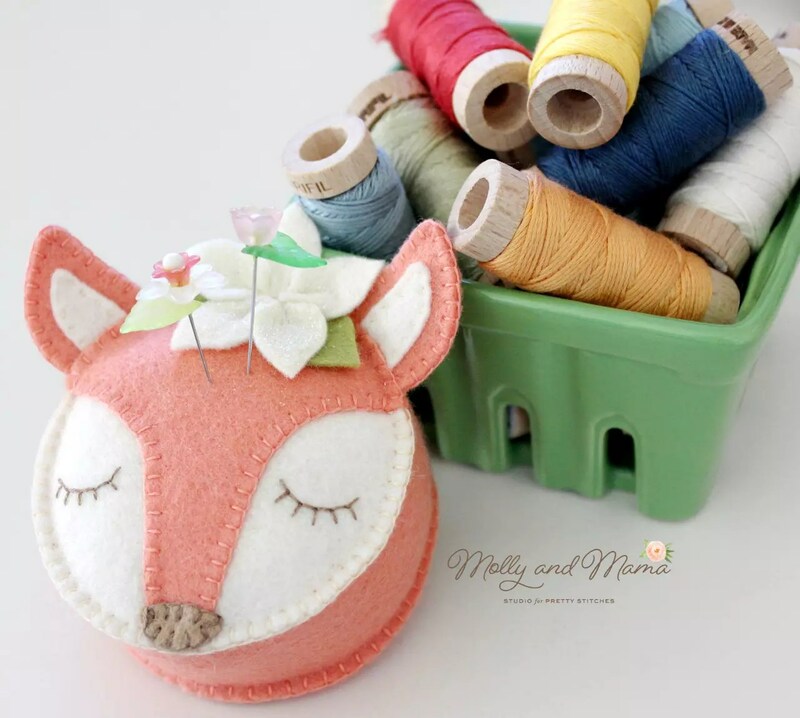 So stay tuned for more Aurifil projects! And to keep up to date, head to Instagram for daily posts! Thanks Megan, it really is the loveliest floss and thread!